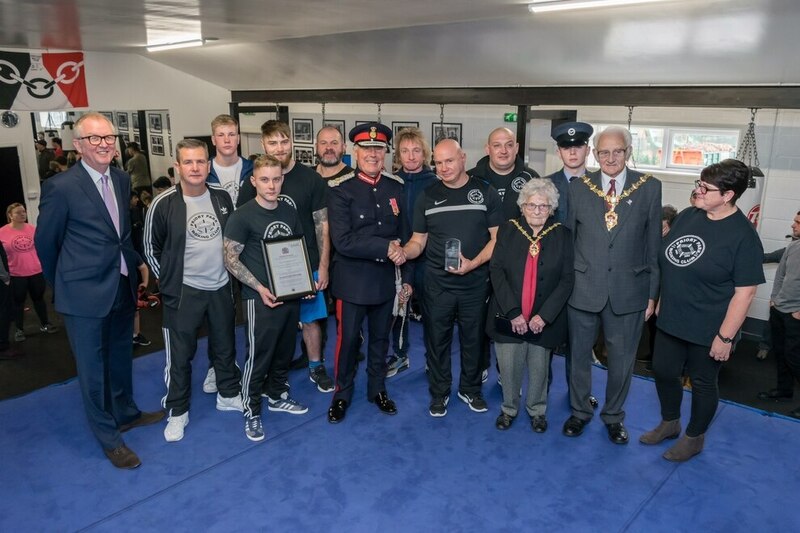 Priory Park Boxing Club enjoyed a knockout day as they picked up a prestigious award. The Queen’s Lord Lieutenant for the West Midlands, John Crabtree, presented the award to Priory Park head coach Paul Gough, who took over the club a quarter of a century ago with his cousin Steve, who sadly passed away in 2016. “It was a proud day for everyone connected with the club and it celebrates all the hard work that we have done with the community over the years,” said 53-year-old Gough. “It’s a shame that Steve isn’t here to celebrate with us. We got the gym to where it is now from virtually nothing. “We came here when Dudley Boxing Club closed down. The initial aim was to get boxing back in Dudley. There wasn’t a boxing club in the town. “So we reopened Priory Park, which was founded by Terry Seymour. “And the club has grown and gone from strength to strength. “We extend the club a couple of years ago and it’s good to know that all our work has been recognised and hopefully this will push us forward into bigger things in the future. “It was a great day and it was good to see people from Sport England in attendance. 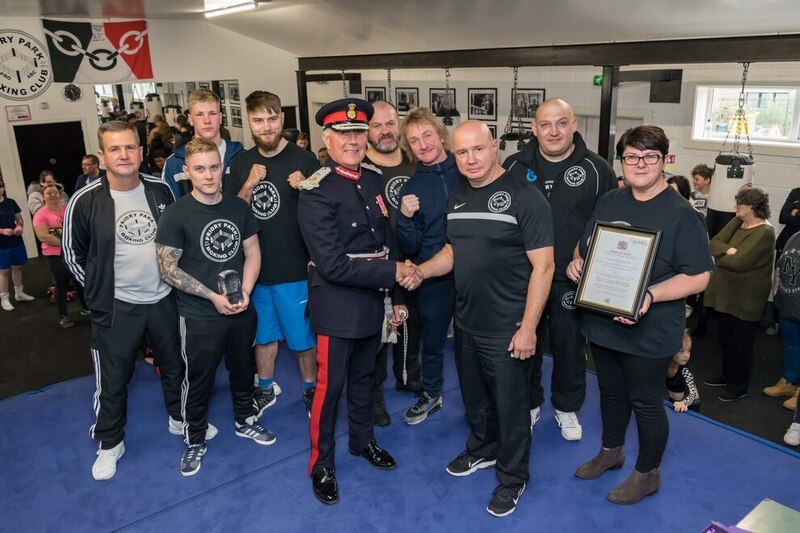 Lord Lieutenant Crabtree was delighted to present the award and told a packed club: “There are some privileges with this job and a big privilege is a day like this. “This is a really special day because you have won the equivalent of an MBE. It’s a group award for volunteers. “And to give you some idea of just what the club has achieved, my county is the best part of three million people, 4.2 per cent of the United Kingdom’s population, and only two organisations in Dudley have won this award this year and only 18 in the West Midlands. So you are in very special company. Local MP Ian Austin and fellow councillors Margaret Aston, Alan Finch, Ken Finch and Kieran Casey, who have been staunch supporters of the club for a number of years, along with mayor and mayoress Alan and Winifred Taylor, were also in attendance. “It’s always great to come here and celebrate this fantastic club’s achievements,” said Austin. “Their work goes much further than keeping people off the streets. 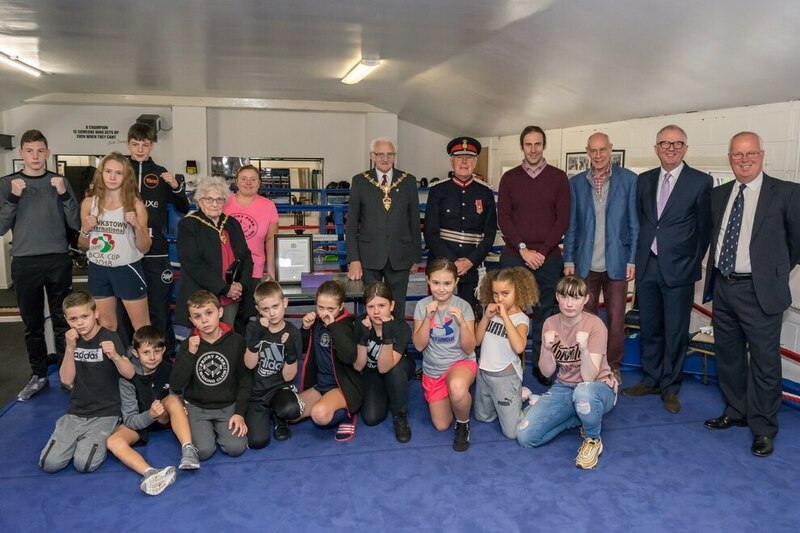 They help keep people fit and healthy and give them confidence that if they can succeed in boxing, then they can succeed in other areas of life. “All the hard work is not done for fame, glory or personal reward. It’s all done voluntary and that’s what makes this award so deserved.